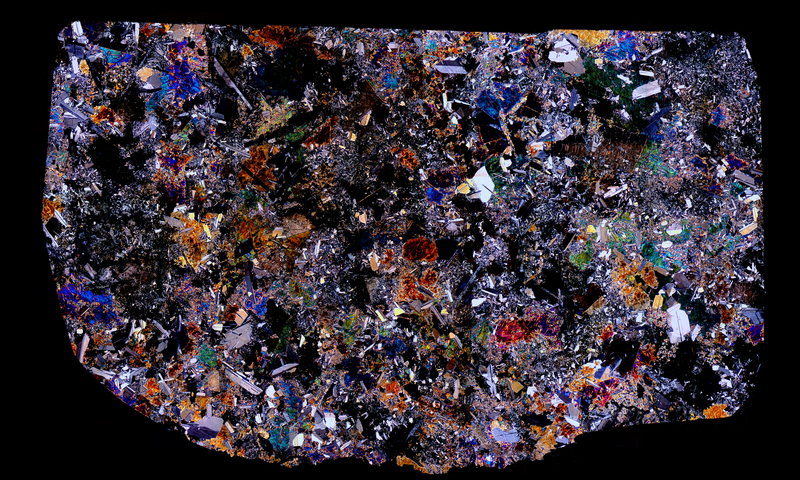 Beautiful thin section specimen of the Juvinas Meteorite in cross polarized light. Juvinas belongs to the eucrite class of meteorites. Although not obvious in this cross polarized thin section specimen, Juvinas is a monomict breccia.